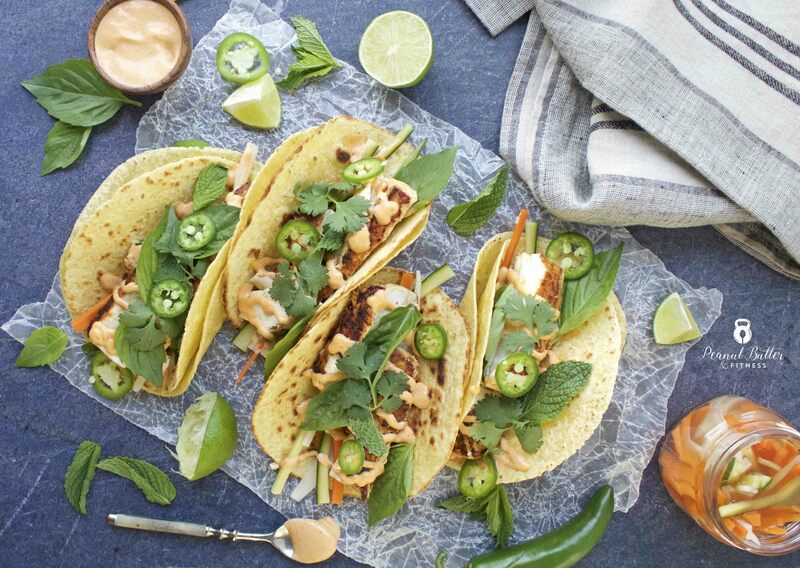 Banh Mi Fish Tacos. Yes, you read that right. A couple months ago, I went to this little New England restaurant here in San Antonio (yes, you read that right too) and had these amazing banh mi fish tacos along with a bunch of oysters. As with just about any of my restaurant food obsessions, I had to try to recreate it at home. I remember how much I loved the brightness of the fresh herbs on top of grilled fish, combined with the crunch and tang of quick pickled veggies. And then some sriracha mayo on top brought the whole thing together. So. Dang. Delicious. 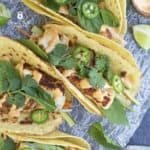 I chose to use halibut as my fish because it’s nice and meaty, yet still tender and doesn’t have too much of it’s own flavor. Just about any white fish would work, depending on your preferences. Mahi mahi, tilapia, snapper, grouper, cod…whatever you like. Oh, and I found these awesome mixed corn and flour tortillas at HEB and I’m in love! 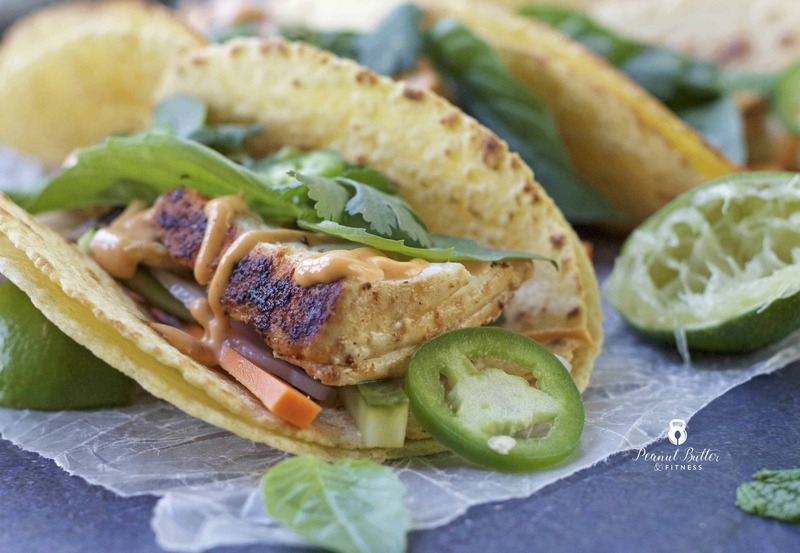 They’re the perfect mix – they have some of the great corn tortilla flavor with the added flexibility of flour tortillas. Give them a try if you can find them! Place julienned vegetables in a resealable jar. Heat water in microwave for about 2 minutes until boiling. Add sugar, salt, and rice vinegar, then stir until the sugar and salt is dissolved. Pour over vegetables in jar and allow to pickle overnight. Place halibut in a shallow bowl and top with soy sauce, rice vinegar, and lime juice. Flip halibut so that all sides are coated with sauce. Marinate for 30 minutes in the refrigerator. 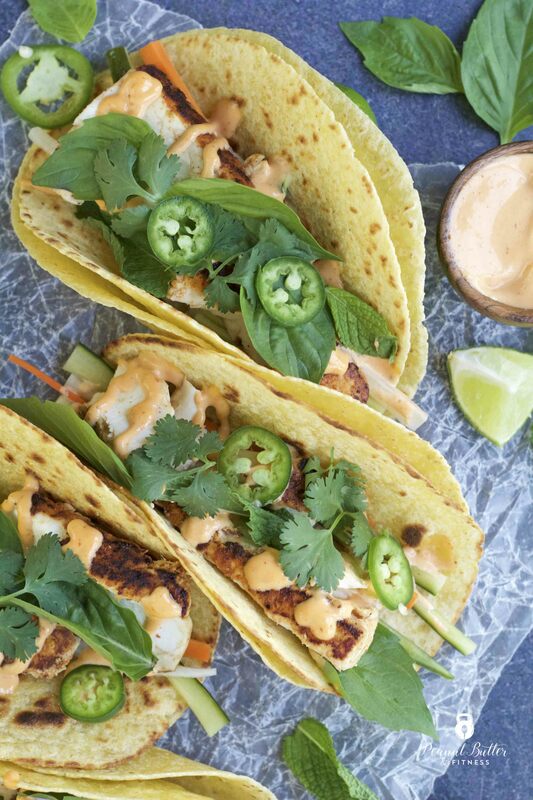 Mix sriracha mayo ingredients until combined and set aside. Toast tortillas in a shallow pan or on a griddle until heated through and slightly browned. 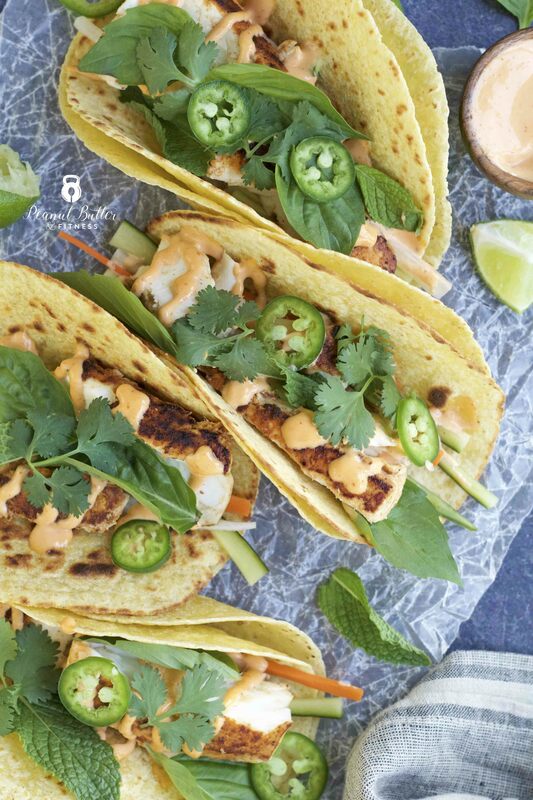 Layer tortillas with fish, pickled vegetables, basil/mint/cilantro, and sriracha mayo. Serve immediately.